Koko Adventure is a South Korean unlicensed game. 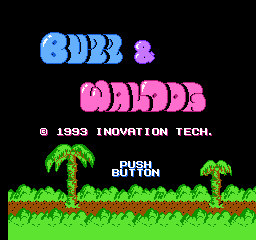 An American release titled Buzz and Waldog was planned but canceled for unknown reasons. It has a lot of assets stolen from other games which isn’t too common for pirates. The game itself is… underwhelming. For each level, you have to collect a certain amount of keys under a restrictive time limit. In defense, the game has solid graphics, music, and gameplay considering that it’s a pirate.